2016 is steadily moving ahead with few innovations in the space of digital marketing in India. The craze for long format digital films has seen a fall, but the few brands who indulge in one are ensuring good digital and social media amplifications for better results. There’s a definitive content marketing strategy at play rather than pushing content down users’ timelines. The first quarter brought forth many festive days, special occasions, and the ICC T20 World Cup that were lapped up with interesting campaigns. Brands from varied sectors invested in digital as a significant portion of their marketing mix, for building awareness and consumer connect. Visuals have given way to gifs, short videos, cinemagraphs and video memes. 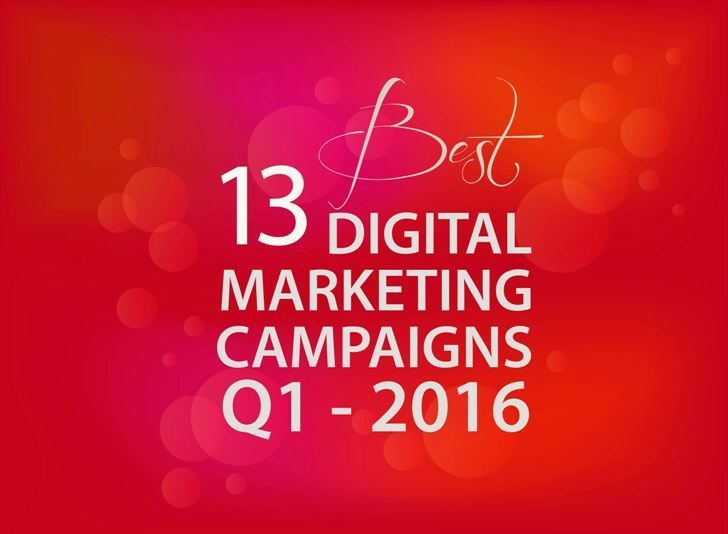 Here, we bring you a compilation of the 13 best Indian social media and digital marketing campaigns reviewed at LI in the first quarter of 2016. Do note that this is a random list as campaigns are featured here due to a combination of factors like creativity, goal-oriented, memorability, brand connect, consumer engagement, and more. This Holi, Parachute Advansed, the hair oil brand from Marico rolled out a memorable 3-minute film called #KhulKeKheloHoli, in which it encouraged people to let go their inhibitions and play with colours like no one’s watching. The film set in an old age home was received positively. On social, a Dubsmash contest invited users to share their holi song videos, while a blogging contest asked people to share stories of their childhood holi festival celebrations. Read all about Parachute Advansed #KhulKeKheloHoli campaign. In a long-termed vision, HDFC Life built a digital platform called ‘Memories for Life’ where one can leave memories for their loved ones in the form of recorded videos and text messages. One can record their messages online or create a scrapbook for their messages, and schedule them to be sent to their chosen recipient. At the centre of the campaign is a touching 2-minute film, while social amplification was being achieved via contests. People were invited to leave messages for their loved ones for Valentine’s Day. Read all about HDFC Life #MemoriesForLife campaign. In a move to increase visibility and showcase company culture, job portal Babajob had launched a one-of-its-kind introductory video. A 4-minute video explained what Babajob is, while introducing the various teams, and changing the definition of an introductory video. Snapchat was also integrated – one needed to add ‘Babajob’ on Snapchat, once they are ‘friends’ with Babajob, they could send a question in the form of a video/photo with caption and the team would get the answers from the CXOs. 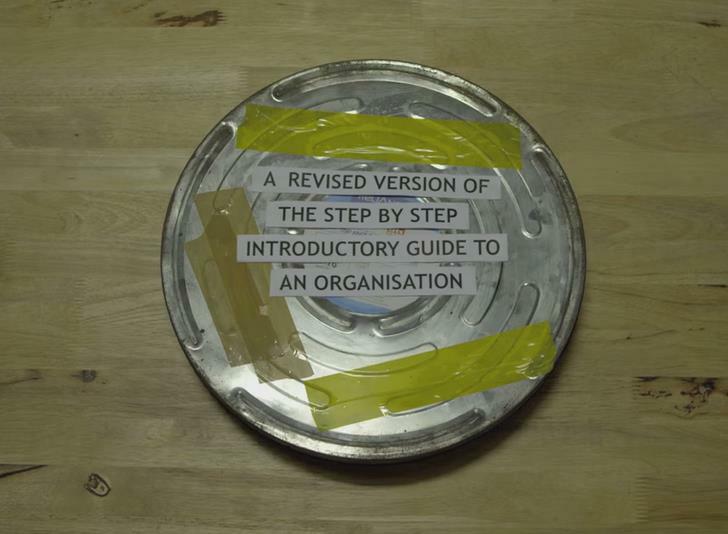 Read all about Babajob ‘A Step by Step Introduction’ campaign. World Sleep Day, celebrated on March 18 every year, is aimed at educating people about the benefits of good sleep. For a mattress maker like Kurl-on that propagates “good sleep”, the day is an occasion to leverage fully. This year, the brand launched a week-long campaign beginning with a contest asking people to share what #GoodsleepIs. Some of the responses were made into visually appealing Facebook posts and some went into a Sleep Anthem video. Read all about Kurl-on #GoodSleepIs campaign. Online marketplace, IndiaMART had launched “#IBelieveInIM”, a video-driven campaign that brings to fore success stories of sellers, in an attempt to attract more sellers to the platform. The company was also celebrating the milestone of having crossed one lakh premium customers. Nine stories had entrepreneurs sharing their experience and success with IndiaMART, and a 1-minute video captured snippets from each of these videos. On social media, one could nominate their aspiring entrepreneur friends, or share their own stories. Read all about IndiaMART #IBelieveInIM campaign. To promote the ‘PixelMaster’ low-light feature mode of Asus’s ZenFone range that lets users capture sharp images even in low light conditions, Asus India chose to embark on long format storytelling. Just like the low light feature, the film put the spotlight on unsung heroic deeds by identifying real ‘Low Light Heroes’ in the city of Mumbai. The brand also launched a WhatsApp campaign for consumers to share their own experiences or stories of good Samaritans who came to the rescue of total strangers during odd hours. Read all about Asus India #LowLightHeroes campaign. Sanitary napkin brand, Whisper, yet again, chose to tell menstruating girls to #OwnThose5Days, and this year it roped in real life women achievers. The ad film saw badminton champion, Ashwini Ponnappa; youngest Indian female pilot, Ayesha Aziz; and youngest female chef, Anahita Dhondy share how they ‘owned those 5 days’. On social media, girls were invited to share selfies holding placards with their own stories, in addition to a blogger outreach program for the same. Read all about Whisper #OwnThose5Days campaign. During the ICC World Cup Twenty20, sportswear brand Adidas India managed to play around well with the brand ambassador, Virat Kohli and leveraged him the best way a sportswear brand can in this digital age. An ad film for the campaign #FeelLoveUseHate portrayed how Virat became the ever evolving cricketer by feeling the love to fuel himself and using the hate to challenge himself. Throughout the match duration, the brand rolled out visuals around the #FeelLoveUseHate theme. Read all about Adidas India #FeelLoveUseHate campaign. #RicefullyYours was crafted to build awareness about the Basmati variants of Fortune Foods. for which the brand chose a content marketing strategy driven through a portal. The idea was to ask people what is their signature dish, or the dish they are known for, and then tell them which type of Basmati would go well with it. The brand teamed with Chef Pranav Joshi who would visit lucky people to taste their signature dish at home. While the portal housed interesting videos and facts about basmati rice, social media channels were used to drive traffic to the site. Read all about Fortune Foods #RicefullyYours campaign. Looking to connect better with the millennial generation, Tata Global Beverages had rolled out a campaign for Tata Coffee Grand, with a badass South Indian granny at its core. Wrapped in yards of a silk saree over shiny gold shoes and loads of bling, she doled out tons of attitude and hip-hop swing in the TVC and on social media with her unapologetic commentary. Be it cricket matches with neighbouring countries, the budget fiasco, politics, celebrity court cases or the Indian infrastructure problems, Granny tweeted it just as it should be. Read all about Tata Coffee Grand Granny campaign. Reebok’s rebranding exercise saw the sportswear brand rope in actress Kangana Ranaut for its India leg, as she embodies the triple essence of Reebok Delta. The ad film was launched on the eve of International Women’s Day, in which the actress shares some tough responses regarding her life’s choices, while she goes about her fitness regime. Social media was populated with stories of women achievers who’ve fought against the odds. Read all about Reebok India #Fittofight campaign. In a bid to promote its retirement plans to potential young consumers, HDFC Life positioned retirement as one’s longest holiday that could be planned well ahead of time. Along with the ad film, the brand made use of #2ndInnings on social media to convey that retirement is like a second innings in life. A quiz was hosted to drive engagement, where users could find out what they should do after retirement, with interesting visuals. Read all about HDFC Life #LongestHoliday campaign. The homeware brand with kitchenware and kitchen appliances went for a long format digital film ‘Main aur Maa’, to revive the brand’s tagline ‘Companion for life’ with digital storytelling. To boost views, a contest titled Cello Companion for Life was hosted with multiple choice questions on the film. The next step was inviting user stories where they needed to talk about their companion for life and why they are special, along with a picture. Read all about Cello ‘Companion for life’ campaign. The above campaigns have been compiled from the ones reviewed at LI in the first quarter of 2016. Do share your favourites from the list.